Artisanal techniques have been a part of Amber’s soul since childhood – experimenting with knitting, painting and designing. These artistic roots led to Amber’s career in architecture and her continued yearning for innovating, creating and experimenting has morphed into her design practice thread architecture. Amber’s aesthetic is strongly influenced by contemporary architecture and interiors and the artisans who add to the layered story of the designs. Each item exudes its own uniqueness through the bespoke craftsmanship and attention to detail Amber applies to each creation. 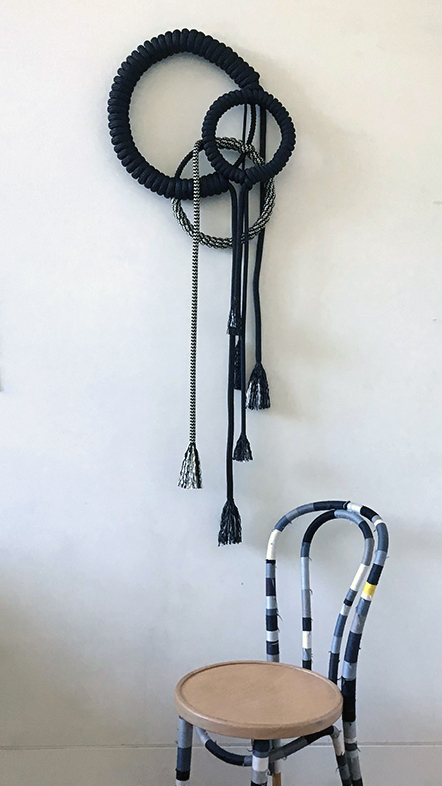 Currently, she is continuing to explore the cross pollination of rope, weaving and traditional handmade crafts resulting in evocative, tactile works to engage the senses.